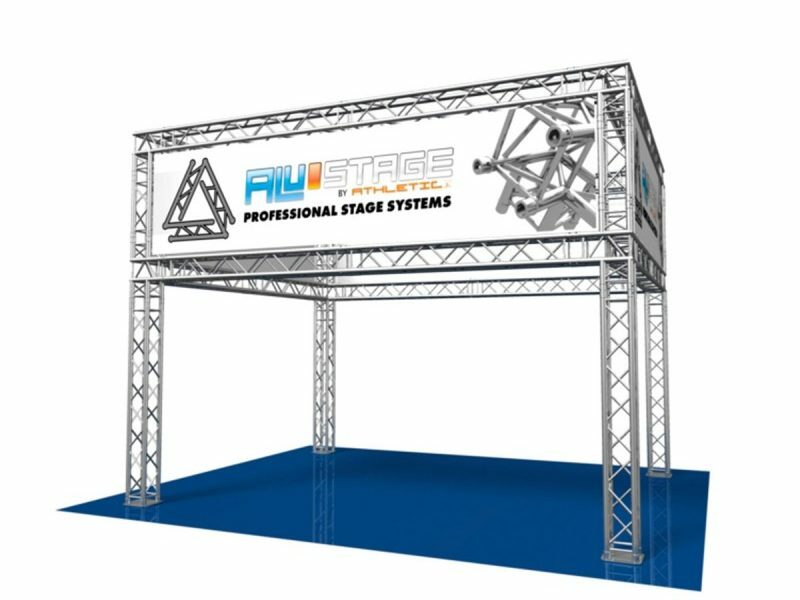 Trussing in its various shapes and sizes has been at the core of nearly every exhibition stand and trade show booth around the world for decades. 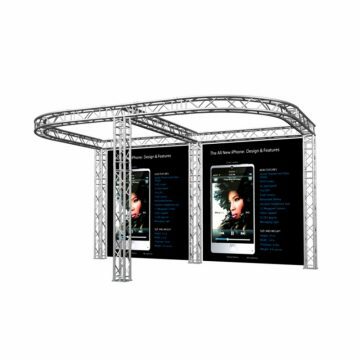 Its lightweight yet durable construction, mixed with its inherent strength and classy yet practical design means it is still the perfect choice for creating a simple defined space in any area, with the loading capability to allow the flying and attachment of lighting and sound equipment, hoardings and branding banners, and basically anything else you should wish to display. 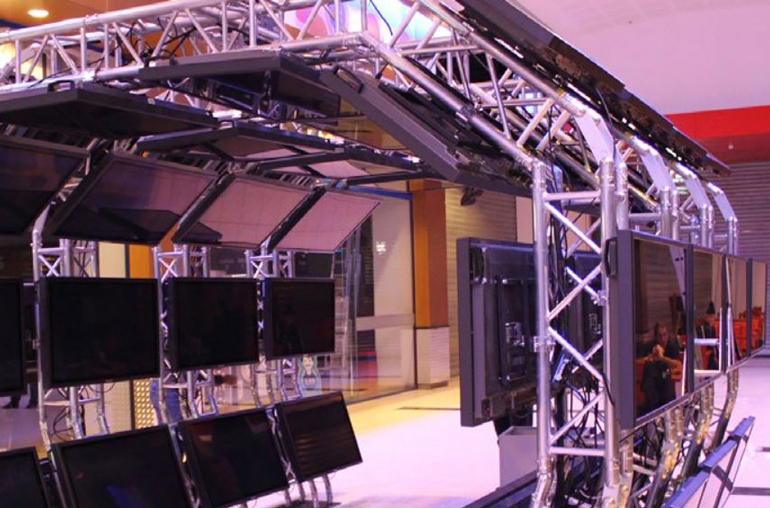 Unknown to the average consumer, truss is available in several different grades, loading ratings, and deflection ratings depending on the manufacturer and the design structure, so while it may all ‘look the same’ it most certainly is not, and correct choice is highly important. 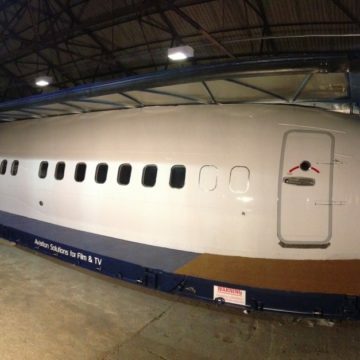 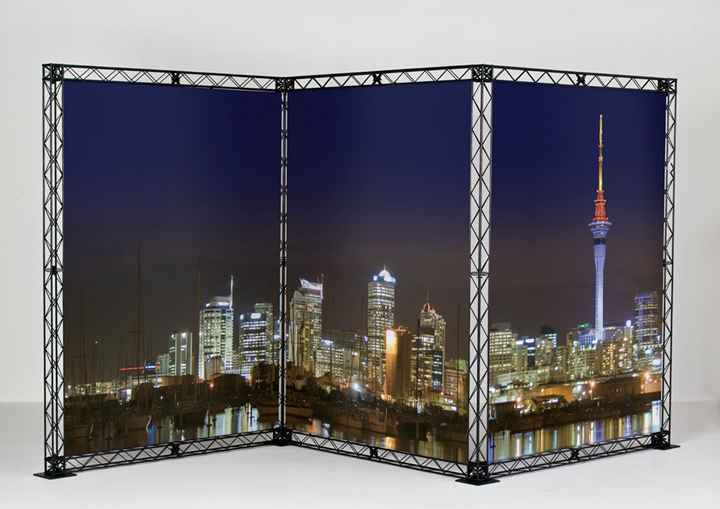 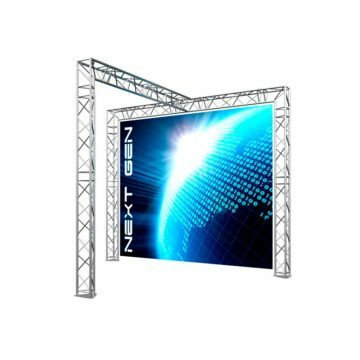 This can be especially important for exhibition stands, as where some may just be purely being used as a room divider, others will be wanting to attach heavy display items, screens, lighting fixtures, projectors, speaker systems which will require the stand to safely be able to carry that weight without issue. 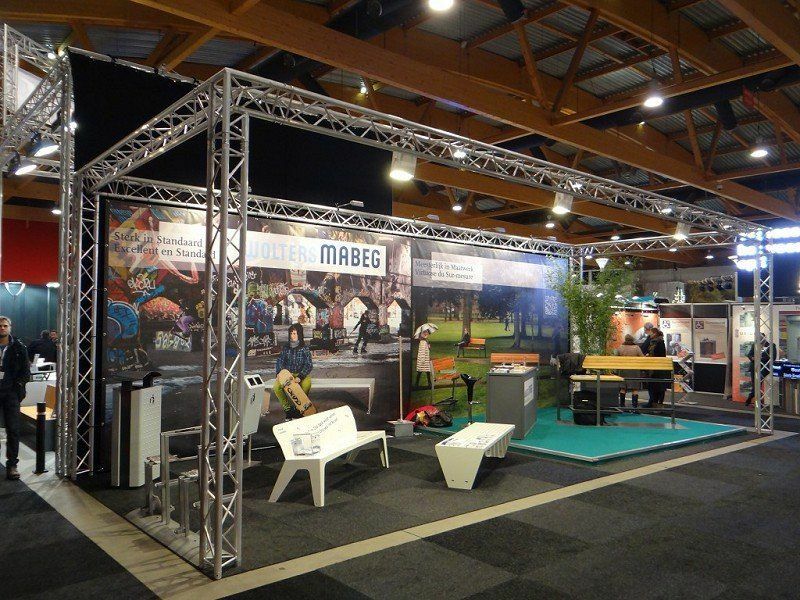 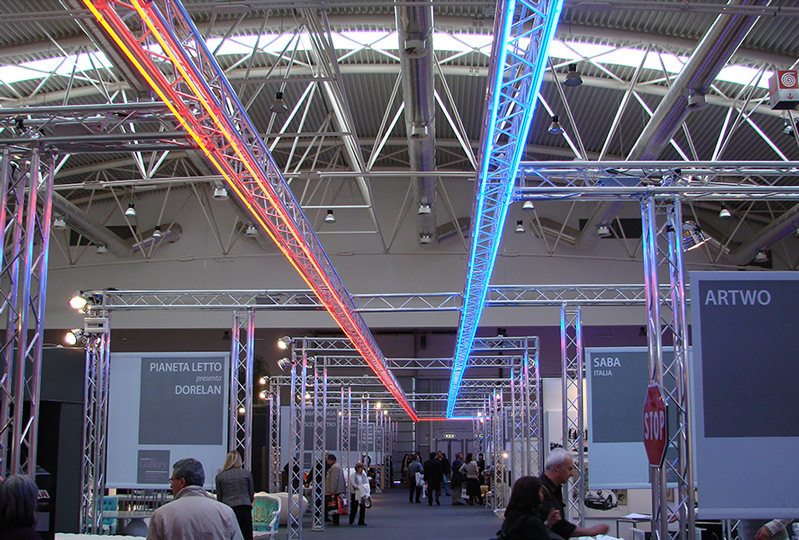 Several popular types such as Deco truss and Trilite truss, which though great for freestanding exhibits or perhaps a few spotlights, and often used in shop display or to create a simple stand or booth area, are not rated for anything of any significant weight, or for use as a structural support framework, so can be quite limiting as a purchase with multiple intended usage. 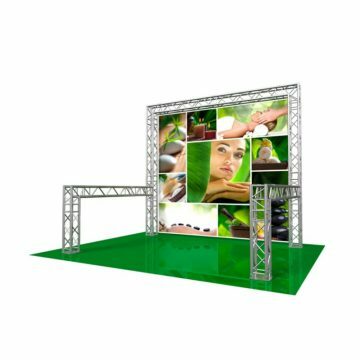 This is not a fault in those products, not at all. 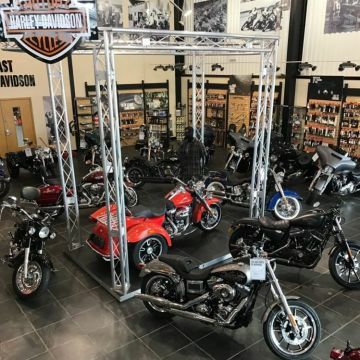 It’s just they are very often mistakenly sold and marketed for tasks that are beyond their design parameters which can lead to disappointment or worse. 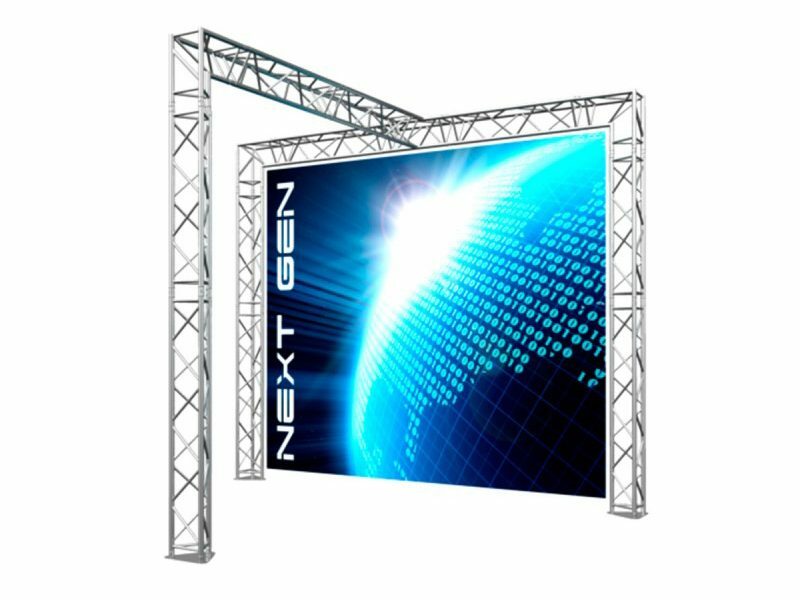 Although Stage Concepts can obviously supply these systems should you really want them, we will generally steer our customers towards higher rated products as these will deliver the better performance versus cost and will futureproof you for any changes in booth design. 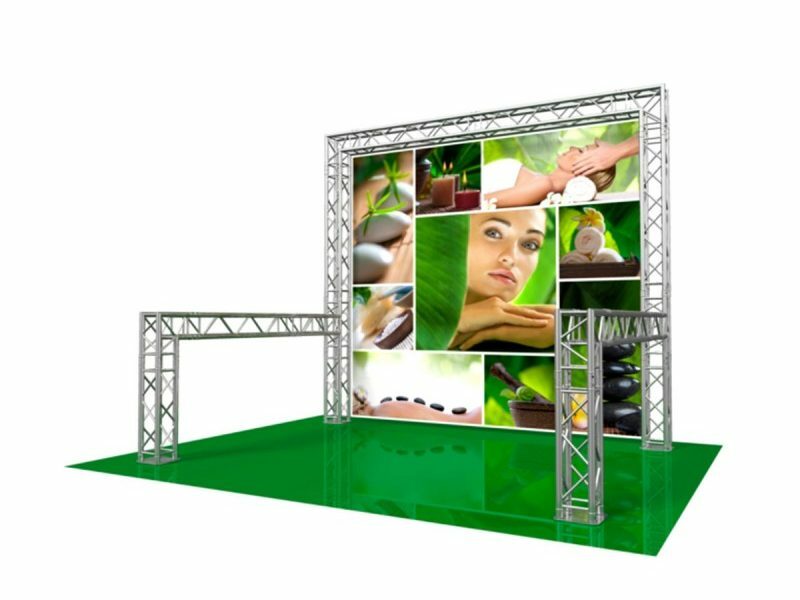 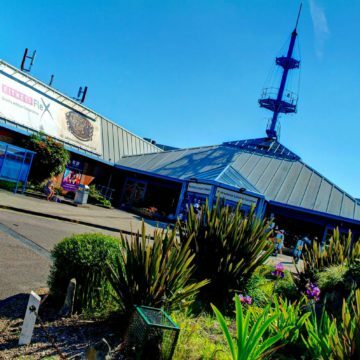 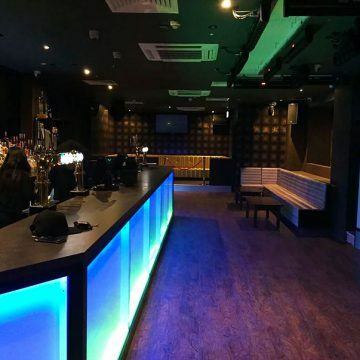 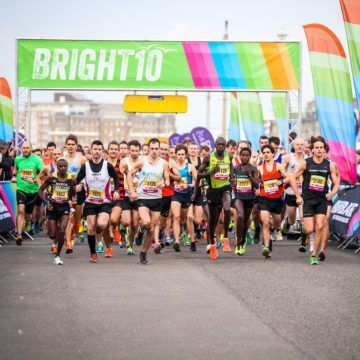 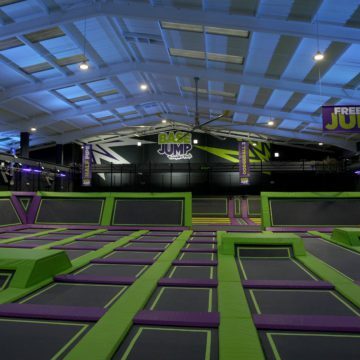 As with all the products Stage Concepts have selected to offer our customers, we chose to go with the materials and construction that would best cover as many differents requirements as possible from one product, keeping our range comprehensive and worry free. 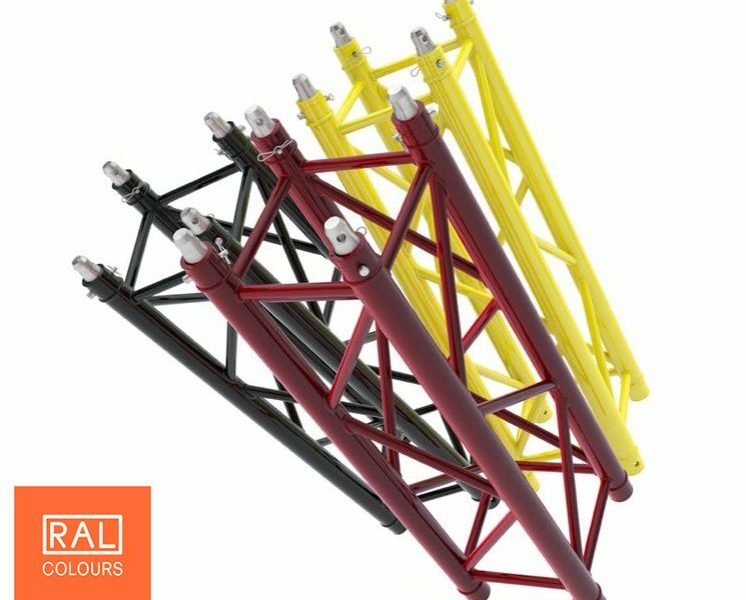 Our standard trussing comes in the medium duty / heavy duty range, and is available in ladder, triangle (Tri) and square (Quad) profile sections, each suited to any number of tasks from simple display work to full roof structures, lighting rigs and flying large PA systems. 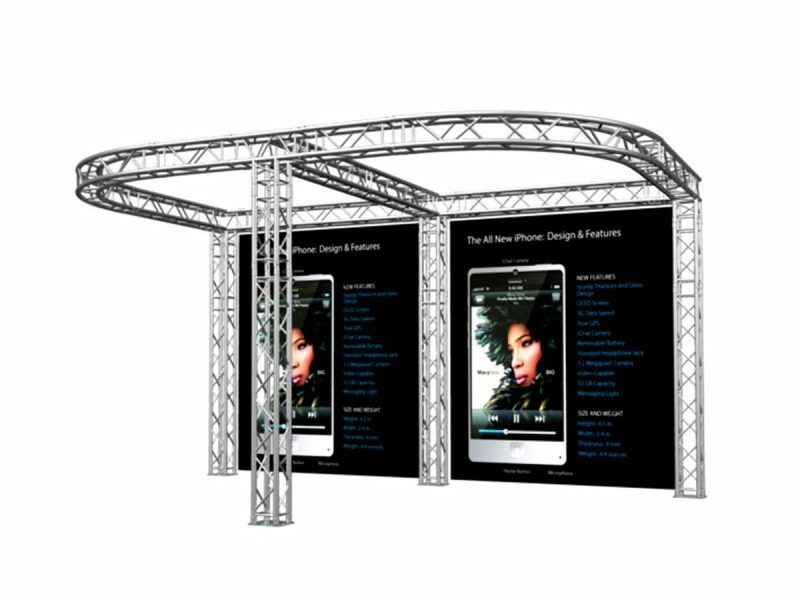 For Exhibition and Trade show purposes our truss gives the the freedom to use your framework in pretty much any way you may want to as it’s capable of safely supporting all manner of equipment, be it one of our pre-packaged stand systems or a bespoke design from our custom UK manufacturing facility you are assured a system that can take the wear and tear of a life on the road, yet will stay looking smart through years of service. 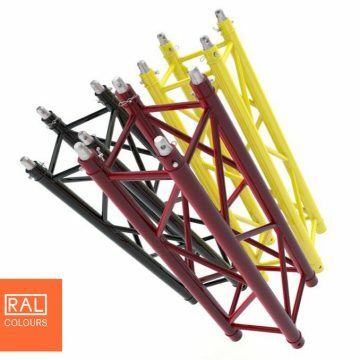 All our truss is available in the full RAL colour selections utilising a heavy and durable powdercoat finish which can add a unique look to your booth at a trade show making it really stand out of the crowd. 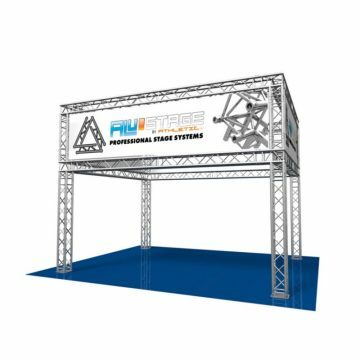 Trussing purchase is an investment and should be thought of as a major part of enhancing and expanding your show based business or marketing division, and we are on hand to help you choose the very best for your particular requirements be they a simple package system or a more elaborate personal design.